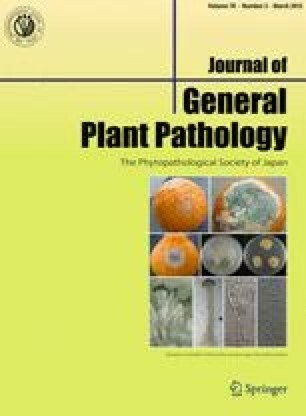 Novel PCR primers were developed to amplify a 243-bp fragment of an intergenic region between gene 5 and tms2 on the T-DNA of Agrobacterium tumefaciens biovar 1. These primers exhibit 100% positive correlation with strain virulence, 100% negative correlation with avirulence, and did not generate extraneous bands, thus facilitating robust real-time PCR detection. We thank Dr. R.M. Davis for critical reading of this manuscript and Lynne Pearson for administrative support. This work was supported in part by the USDA-ARS CRIS project 5306-22000-14-00D, the California Walnut Board and the CDFA, Fruit Tree, Nut Tree and Grapevine Improvement Advisory Board.